All Weather Kit Bags, Travel Bags & Accessories | The Montrose Bag Co. Designed & built in Scotland. In demand around the world. 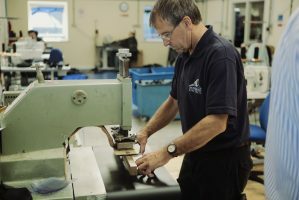 When it comes to bags only the best is good enough and here at The Montrose Bag Company on the North East coast of Scotland, we put heritage and skill at the heart of what we do. Our parent company, Montrose Rope & Sail was founded back in 1789 to serve the Scottish fishing fleets. Fast-forward over two hundred years and MR&S is now the go-to provider of robust and durable all weather tarpaulins and kitbags for rig workers in the North Sea. 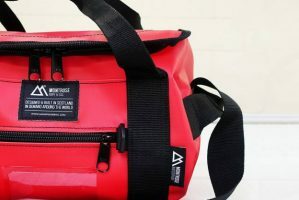 Using skilled craftspeople and working with 100% waterproof materials, The Montrose Bag Company manufactures to the same high standards to create a complementary range of bags that can tough it out in the most testing of conditions. From rucksacks to holdalls, travel bag to totes, The Montrose Bag Company has got your luggage needs covered. Both offshore and onshore there really is no better bag. Our sturdy and practical all weather kit bags have been manufactured here at our headquarters in Montrose for over forty years. If you’ve ever worked offshore you’ll definitely recognise our bags as they make their way around the world. Tried and tested in the North Sea and handcrafted from 100% waterproof PVC these high-performance bags are built to last. Teaming traditional handcraft skills with modern technology our all weather bags meet the industry standard for the offshore workforce but are also perfect for leisure use. 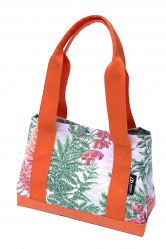 They come in a wide variety of shapes, colours and sizes so that you’re sure to find the right bag for your personal needs be it sport, fitness, travel or leisure. Keep up to date with the latest news from The Montrose Bag Company. 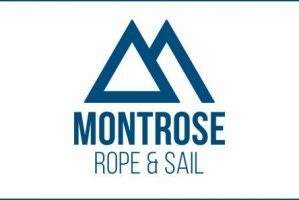 The Montrose Bag Company is owned by Montrose Rope & Sail, to see even more of our fantastic products click below. Make your bag unique. Our bags can be customised with the logo or text of your choice.